Though a fairly recent concept, you might have heard of Disaster Recovery as a Service (DRaaS) in recent few years. It represents the replication and hosting of physical or virtual servers by a third party to provide failover in the event of a man-made or natural catastrophe. You might think that your Service Level Ageement (SLA) with your hosting provider has you covered in case of a disaster, and that you don’t need to invest in this type of service. However, if your business would be severely affected by your applications and data being down for instance, you might want to consider a third-party vendor to ensure that in case of disaster you are covered. Having multiple layers of backup might be quite a life saver. Also, if your staff lacks the experience to create and implement a Disaster Recovery Plan, it might be best to leave it to the pros and go for the DRaaS solution to keep your application up and running at all times. Another plus when using DRaaS is that you don’t need your own people to manage it or your own equipment to produce it. If you are a small company, it works out great, since you don’t have a lot of staff, or maybe they don’t have the needed expertise. Money-wise it’s also a win since you don’t have to maintain an on-site or off-site disaster recovery environment. Of course, as with all new tech industry developments, it’s not all sunshine and rainbows. You need to trust your provider 100% since you give them the access to your data, and all your backups are in their hands. At the same time, you trust your provider to know what to do when the inevitable happens and that your business will be kept up and running by their backup and restore protocols. Here is where SLAs are very useful. This is because you need to know what your role is, and what your provider is responsible for. SLAs come in to solve the issue of who takes care of what, which steps need to be taken if something happens, and how everything can be restored to normal as quickly as possible. If you are an IT company with a SaaS (Software as a Service) model, you might consider DRaaS also. If your application is what keeps your company alive it is then only natural to want to prepare for the worst. Your DRaaS provider is responsible for keeping your business up and running in case of data failure, so one less thing for you to worry about. If you only keep some data in cloud, some accounting information for instance, using just BaaS (Backup as a Service) might seem more appropriate. Backup as a service means that you will decide which data you want to save, and your provider will be responsible for that data’s consistency and the restore of the backup copy. When talking about major players on the DRaaS market, seven names come to mind: Bluelock, IBM Cloud Services, Seagate, Sungard, Acronis, iland, NTT Communications. This Gartner study offers you an in-depth analysis of DRaaS players. Let’s talk a bit about these seven. Bluelock offers Disaster Recovery-as-a-Service specially designed for complex environments. Their offer covers specific requirements like multi-tiered recovery or mixed configuration environments, while also offering support for complex security needs, making them appropriate if you want to put sensitive data in a safe place. The ONE thing that recommends Bluelock, is its Recovery Assurance Program which comes with robust on-boarding, training and runbook development processes. Not to be ignored is the fact that their solutions are designed for sensitive data, HIPAA / HITECH compliance is a must. You can check and manage the costs, resources and the Recovery Plan realization through Bluelock Portfolio, their client portal. When you allow a third company access to sensitive data, access to everything is a must. The other big plus is Bluelock’s experinece with hybrid recovery configuration and the experience they have with large enterprise recovery configurations. IBM Cloud Services focuses on maintaining continuous business operations and offers resilience against data disruption. The fully managed cloud disaster recovery service aids virtual and physical locations on a virtualized cloud infrastructure at a designated secure data recovery center. The advantages IBM brings to the table are levels of test frequency, declaration costs, recovery targets and service pricing, thus enabling the clients to design the custom service for them. Client control is offered through client-initiated premises-to-cloud failovers, and a portal interface which enables easy administration. IBM comes with a number of options in terms of data protection and a multi-tiered portal to ensure shortened recovery times. Also, a big plus is that IBM’s DRaaS comes with non-stop replication of data to ensure that you will not have any hazardous gaps. Seagate Cloud Resiliency Services comes with an option of self-managed and provider-managed data protection and recovery services. You get real-time replications and access to your data during planned downtime. They up the game by guaranteeing that they will ensure access to your vital data within one hour of an outage, so you will be in control even when disaster strikes. In order to make sure that your data gets recovered as soon as possible Seagate comes with tiered storage. One other plus is the fact that the data integrity is checked daily so you can be sure that you’ll have what to recover should you need it. Sungard Availability Services comes with a multi-solutions service which includes: Recover2Cloud, Managed Recovery Program and Enterprise Storage Replication. Their service aims to be as customizable as possible, offering cloud and hosting services to adjust to the customers needs. Sungard offers Crash-consistent and application-consistent recovery for both virtual and physical environments thus making sure that your data is safe. Support for SSAE 16 service organization control (SOC) 2, PCI DSS, HIPAA and International Organization for Standardization (ISO) 9001 compliance is also offered. 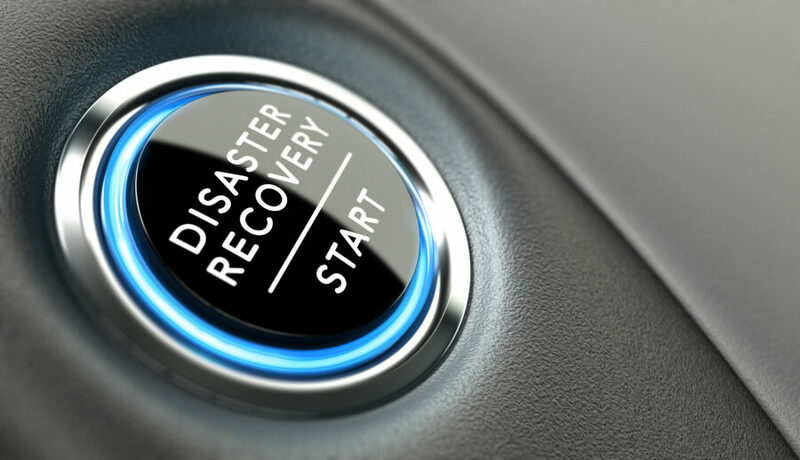 Acronis Disaster Recovery Service is Acroni’s way of offering a DRaaS service that provides protection and restoration of data, servers and full data centers. In order to cover a large range of needs, they provide a pay-as-you-go service that migrates, protects and recovers data in physical, virtual and cloud environments. Their number one strenght is the knowledge of hybrid recovery configurations. You get your recovery console so you can manage the process and also get reports and analytics. They are aiming to make things as simple as possible for you and have designed their service for mid-size organizations and enterprises. Everything is automated, from the runbook procedures to recover all your data to testing for a regular assessment. iland Disaster Recovery as a Service will offer you support for VMware, Microsoft Hyper-V and Citrix Xen VMs inside the enterprise cloud. Their focus is on integrated disaster recovery management within its Enterprise Cloud Services Console. Users can also set RTOs and RPOs from seconds to minutes to hours, according to the tier of application. NTT Communications comes to the DRaaS providers table with a cloud based service that can either be used as a part of your own Disaster Recovery plan or used as a full solution. Their DRaaS portal is easy to use enabling users to define, configure and monitor any level of service. The biggest plus NTT offers is one of the largest global data center footprints which enables you to leverage NTT Com’s infrastructure in over 196 countries to deploy a robust and secure DRaaS program. Bottom line, if you don’t want the hassle of a Disaster Recovery plan, you might consider going for DRaaS. The market offers you a number of solutions, suitable for businesses small and large. There is a solution for each company, even if you are not even sure yet what you need, a provider will be more than happy to talk to you and guide you through the process thus ensuring that you select the perfect provider and solution for your company.